1 rock songs | This Blog Rules | Why go elsewhere? The harmonica is a relatively new addition to the rock genre. For a while, it was even considered to be quite the bizarre choice in terms of musical instruments. Today, it’s very difficult to stumble upon certain artists that don’t include the harmonica in their tunes. It was originally invented in 1821 and has developed quite the reputation through its association with big historical figures. For instance, it’s said that Abraham Lincoln always carried the instrument in his pocket. With such a foundation, some excellent tracks must have been composed, leading to the best harmonica songs in rock n roll. It creates a balance and an interesting combo with the otherwise harsh accords of rock music. It possesses a distinguishable sound. And it was used to blend the best harmonica songs into rock songs. We’re kicking this list off strong with one of the greatest rock bands of all time. Incidentally, it was also responsible for one of the best songs with harmonica. It wasn’t the harmonica itself that really made When The Levee Breaks stand out in this regard, but rather its pairing with legendary drummer John Bonham and guitarist Jimmy Page. For those that don’t know, Heart Of Gold is Neil Young’s only #1 hit in the US. This is all somewhat hilarious when you think of the fact that he composed the song in a series of acoustic tracks written while his back pains prevented him from standing up from his bed. The harmonica bits in this piece are defining for this memorable piece and the first accords can be noted from the very intro of the song. Fingertips was Stevie Wonder’s first real hit and it was recorded entirely live. It’s all the more impressive when you realize that this was a song that pretty much only existed to showcase Wonder’s mad skills. The song is almost entirely instrumental and the artist’s mastery of the harmonica is even more impressive when you remember that he was only twelve at the time. This haunting Bruce Springsteen track carries deep messages within its melody and these messages are wholly supported by the inclusion of the harmonica. The River is a song that makes your thoughts wander to the calmness of the water during the warm seasons and it instills sensations of hope and rebirth. All of the emotions possibly drawn from this song are amplified by the harmonica’s very first thrills, making The River one of the best harmonica songs within the rock genre. The harmonica manages to showcase its versatility through this list alone. We went from the calm peacefulness inspired by Bruce Springsteen and are now in a track that’s all about enthusiasm and the fun side of blues. 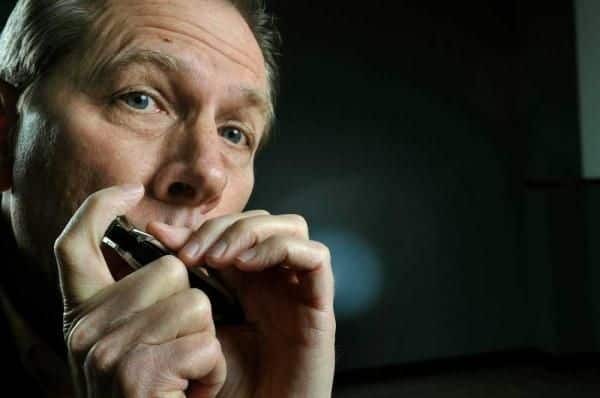 Harmonica player Richard Salwitz has been widely praised for his performance and, needless to say, his skills are a perfect addition to this song. The iconic Beatles actually launched their careers on the foundation of the harmonica’s assets. John Lennon was particularly interested in this instrument and because of his passion, he blended into the band’s early songs plenty of harmonica accents. Paul McCartney even joked about the fact that Lennon expected to wind up in jail and be the guy that played the harmonica behind the bars.